Discussions about the place of performance in museums have tended to revolve around seemingly insoluble problems arising from the form’s temporal qualities. 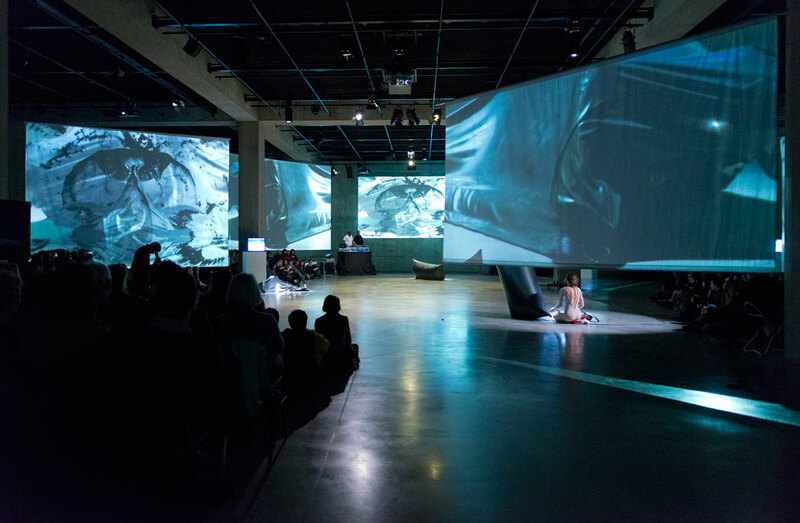 Scholars, curators, artists and audiences alike usually ask: can a museum collect performance? How would one go about doing such a thing? And if it could be done, should it be done? Such questions reflect an overarching narrative that after decades of being on the artistic fringes performance is becoming institutionalised. The carceral connotation is intended – as the story goes, the process of entering the museum entails becoming somehow disciplined and denatured by antiseptic, breathless forces of containment. Departing from a more materialist and pragmatic premise, Performance at Tate asks a different question: what has happened to art, its institutions and its audiences given the fact that performance now is in the museum? That is, the aims of this two-year research project (2014–16) stem from taking the prepositional phrase in its main title seriously.1 By examining the lives of performance works at Tate, the first thing that comes into view is that this situation is not so new, that performance has been in the museum for a long time. Not only have performances been staged at the museum since the late 1960s but also Tate has been collecting objects and documents related to these kinds of works – whether destined for the galleries or the archive – for at least as long.2 Further, when one surveys these last six decades of Tate’s history and tries to discern what separates earlier moments from this supposedly new and different present, an odd thing happens. Exactly what it is to which the term performance applies begins to shift and waver in front of our eyes, to expand to include many more forms than one might have presumed initially to be part of the picture. To find the place of performance – where it has fitted and should fit into art’s institutions and histories – we have to explore the space of art. In terms of this project, that space is first and foremost Tate’s physical buildings. This is not to say that only works that make it into the museum ‘count’ as art but rather to note that what does make it into the museum has already been counted. 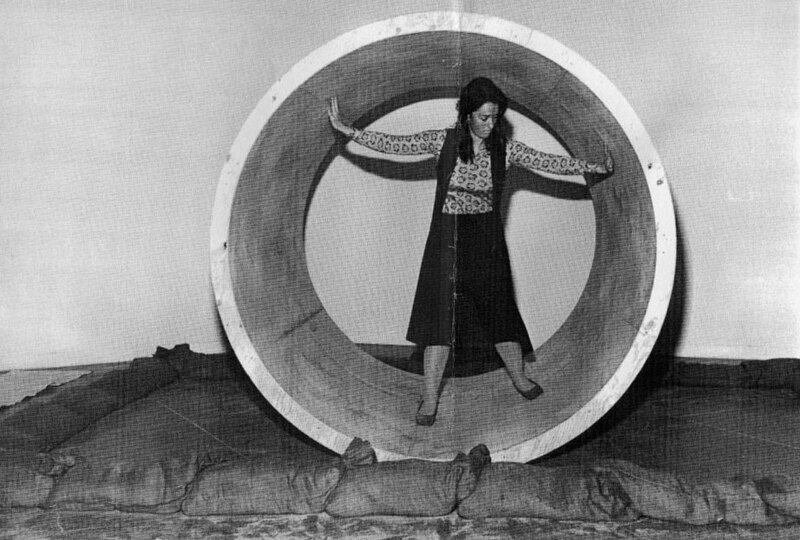 This research project traces how institutional notions about what constitutes art, what belongs, have changed and expanded in relation to practical shifts since the 1960s – and vice versa. And it is worth noting how, in 2016, Tate Modern’s expansion – from the reopening of the subterranean Tanks (fig.1) for performances, interactive art and video installations to the new stories told by collection displays and to the Tate Exchange spaces (fig.2) that aim to open the institution out to the city of which it is part – both responds to and accommodates the provocations of performance.3 The usual way we present the question of performance and museums asserts that each is a static entity and, crucially, that the two are antithetical. Both art and institutions, however, continually change, especially when they interact. This publication principally comprises a catalogue of essays (here called Perspectives) and case studies about works in Tate’s collection and events in its programming since 1960; these analyses and summaries of performances and performance-related artworks begin to plot and detail the various forms that interaction has taken. Each entry is written with an eye to how the artist and the work in question made use of, reconfigured, or otherwise engaged with the spaces of the museum – from the galleries, to the archive, to the offices where contracts were negotiated, to the conservation and curatorial offices. In addition to presenting a new history – both in the aggregate and in individual examples in which works have been reconstructed from fragmentary archival evidence – these essays and case studies also subtly but insistently challenge the idea that performance and the institution work at cross-purposes, attempting instead to relate the relationship between the two as generative (even if not always harmonious). And in many cases, sources and documents from Tate Archive – collected in the Resources section of this publication – have not only offered proof of works that had fallen out of historical view but also have prompted new ways of approaching the practice of well-known artists. Such records make it possible for these analyses to follow acquisitions and collections as they move through the museum’s various departments, detailing how these affect the final shape the works take in the galleries, how the artists and artworks demand and catalyse changes in the museum’s self-understanding and operations (even if these are only visible years later), and how the results of these repeated collisions have moulded audiences’ expectations of what art is and how it should be encountered over that same extended period. This relationship unfolds in different ways for different works but each story offers unique purchase onto two questions crucial to the study and display of performance. First, what is the relationship between a performance and its documents? Second, in the event that a performance is or can be represented by documents (photographs, videos, written accounts, and so on), why do some end up in galleries and some in the archive – that is, in this context, what is the difference between a collection artwork and an archival object? As the case studies demonstrate, answers to these questions have changed over time and are still unsettled today. Further, Tate is by no means special in considering these issues – this project will also result in an edited volume (forthcoming from Routledge) that features essays and interviews with curators and archivists at other museums of modern and contemporary art and which seeks to lay out the different ways in which the place of performance has developed at various institutions in Europe and North America. When it comes to performance, however, the spaces to be explored are not only physical and practical but conceptual as well. In compiling our list of works to include in this project as case studies or shorter photoessays, we soon ran into uncertain terrain. It was easy enough to identify some types of performance, especially live or recorded works featuring actions by artists undertaken for or with an audience. Performances of this type are the most commonly represented here, and it makes for a valuable historical accounting to see how many such works were presented at Tate, and in which decades, by which artists, in what forms and to what ends. By tracing this arc we can see how ideas about art (and what is within or beyond its purview) have shifted over time, as well as Tate’s own conceptions as to what art was worth supporting at various moments. But there is another part of the story that involves artworks we often describe as possessing ‘performative’ elements. For example, does the recent history of photographic portraiture belong in this study because such works engage questions of identity? Should Tate’s works by Cindy Sherman and Nan Goldin (fig.3) feature here? What about painting that does the same? Or paintings that involve iterative gestures of self-conscious process? Should Gerhard Richter appear for the ritual quality of his daily practice? Or ones that rely on or induce the viewer’s optical ‘activation’ and are thus not completed without participation, for example, the paintings of Bridget Riley? How about sculptural works that anticipate and generate specific experiences of embodiment in durational unfolding, like Robert Morris’s minimalist objects (fig.4), some of which were created to be climbed, lifted, or otherwise physically engaged? ‘Performance’ quickly balloons to encompass a great many artworks of the post-1960 landscape when we consider them from our present moment now that so much of the museum is oriented around the concerns brought to the fore by performance – namely the expansion of art as including not only new materials and modes of production but also a central concern with experience, process, political and social context, participation, duration and so on. To be sure, some of the cases we feature in this publication do pursue this line of inquiry, developing specific examples of how performance has become not only a medium or a genre but also an attitude toward art’s purpose and value. In the essay ‘The Dimensions of Performance’, published here, I address this shift directly, attempting a historical and theoretical appraisal of the development of the term ‘performance’ since the mid-twentieth century. The text considers how the category has come to encompass so many kinds of artistic production and challenges notions of performance that seek to define it as a medium or genre. It argues instead that performance is an interrelated set of questions concerning how art relates to its audiences and the wider social world. In it I offer a set of conceptual tools – what I call the ‘dimensions’ of performance – for scholars, curators, artists and audiences to use in navigating the cases published here, as well as the question of performance in contemporary art more broadly. It is my hope that these dimensions provide an historical anchoring and a conceptual framework capable of discerning the salient differences between the many forms we now describe as performance. Indeed, the notion that grappling with the importance of performance exceeds any one form or mode of production and concerns instead how we comprehend and exhibit the history of contemporary art more generally runs as a continuous thread through all the case studies and photoessays, as well as the research features4 we have published along the way, new display strategies5 for specific collection works produced in collaboration with curatorial departments and the symposium6 hosted by Tate Research at the project’s close. Performance at Tate, taken as a whole, asserts above all that performance is not a form unto itself, a special and different kind of art that must be isolated or quarantined but is instead an integral and crucial component of contemporary art history. With the writings published here, we hope to have to described exactly what role performance has played for over sixty years at Tate and how reflecting on that relationship might prove useful far beyond the walls of this museum. 1. Performance at Tate has been funded to explore new ways of approaching the study and display of performance by a research grant from the Art and Humanities Research Council. The project has been a collaboration between the University of Exeter and Tate. For a full list of project participants and staff, please see acknowledgements. 2. The first such performance was an action devised by the nouveau réaliste sculptor César, held at the Tate Gallery on 5 March 1968, for which he created a sculpture using quick-drying modern plastics in front of a live audience. An analysis of the event (and its interruption by another artist, Stuart Brisley) can be found here: http://www.tate.org.uk/research/publications/performance-at-tate/case-studies/stuart-brisley. 3. For information about the Tanks, first briefly opened in 2012 and reopened permanently with the inauguration of the extension of Tate Modern in June 2016, see http://www.tate.org.uk/visit/tate-modern/tanks, accessed 13 July 2016. 4. These include: Jonah Westerman, ‘A Bigger Splash: Interview with Curator Catherine Wood’, April 2015: http://www.tate.org.uk/context-comment/articles/bigger-splash-interview-catherine-wood; Jonah Westerman, ‘Between Action and Image: Performance as “Inframedium”’, January 2015: http://www.tate.org.uk/context-comment/articles/between-action-and-image-performance; Gabriella Giannachi, ‘Performance at Tate: The Scholarly and Museological Context’, December 2014: http://www.tate.org.uk/context-comment/articles/performance-at-tate-scholarly-museological-context. 5. The most direct example of the impact of this research project on displays is the re-installation of a number of blackboards used by Joseph Beuys during a lecture he presented at Tate in 1972. Their display as part of the ‘Joseph Beuys Artist Room’ (described here: http://www.tate.org.uk/visit/tate-modern/display/artist-and-society/artist-rooms-joseph-beuys, accessed 13 July 2016) derives from a case study published as part of this project (http://www.tate.org.uk/research/publications/performance-at-tate/perspectives/joseph-beuys). The new approach both restores historical accuracy to the work’s physical composition and revises the portrayal of their role in the overall event through an accompanying didactic text. 6. Titled ‘The Place of Performance in the Museum’ and held on 20 June 2016, this symposium featured curators, scholars, and artists reflecting on how the presence of performance in the museum has altered their own practice and understanding of contemporary art, as well as the museum’s infrastructural functioning. For full details, see the event announcement: http://www.tate.org.uk/whats-on/tate-modern/talks-and-lectures/place-performance-museum, accessed 13 July 2016. 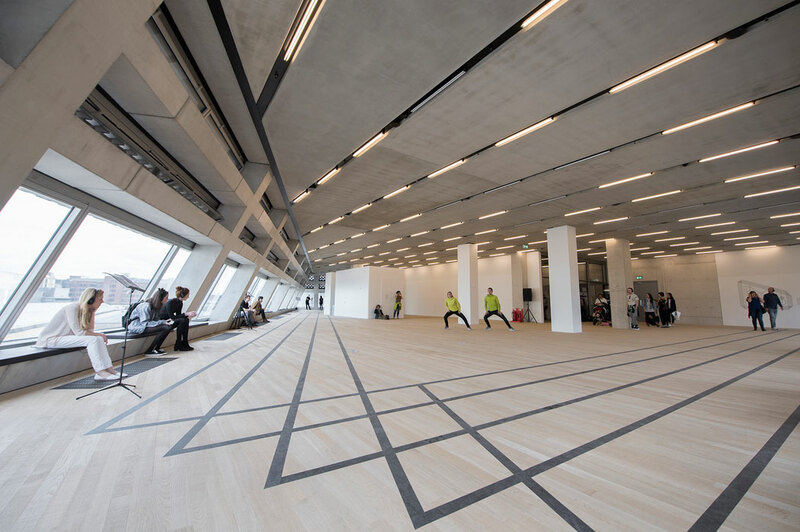 Jonah Westerman, 'Project overview', Performance at Tate: Into the Space of Art, Tate Research Publication, 2016, https://www.tate.org.uk/research/publications/performance-at-tate/project-overview, accessed 26 April 2019.